Denny Jump (Bellevue, WA, United States) on 9 February 2016 in Abstract & Conceptual. Those of us who know nothing just make judgements! We don't know his shoes! Wow, this made me stop for a moment. I tried to find correct English word for what your photo and words made me feel but found none. This went right inside me somewhere where the feelings sleep and woke up something I had forgotten. Great work, Denny. I will not try find the word ursulakatariina sought but I know I have the same thoughts. A very powerful posting in a way only you know how, Denny. @Ronnie 2¢: Thank you Ronnie..I think I went overboard with my"explanation" letter but I meant well :-) Cheers to you both. Poignant image and words.I salute your wisdom and humanity. @Steve Rice: Thank you Steve...Brothers and sisters of yours and mine whom are disregarded by those who make like they care. You know the type ....Thanks sir! A beautiful but sad poem and wonderful image. you've done it again, sir ... hit the nail right on the head! what powerful words and image! i, too, salute your wisdom and humanity !!! Interesting composition and lovely little poem. 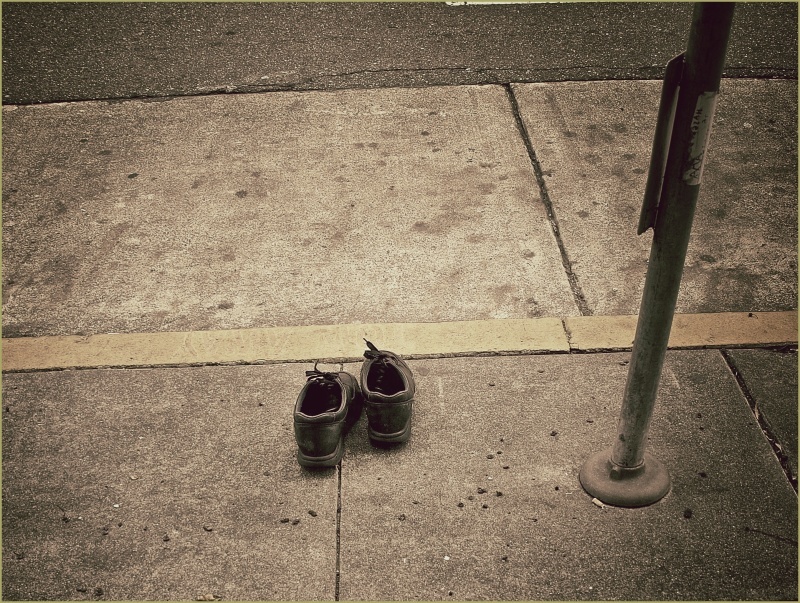 When I saw the photo and the title, I thought of Depeche Mode song "Walking In My Shoes".